Naloxone, also known by the brand name Narcan, is a medication intended to safely and effectively reverse the effects of an opioid overdose. If a person has taken opioids and is then given naloxone, the opioids will be knocked out of the opiate receptors in the brain. Contrary to popular belief, the effects of naloxone only last for 30-90 minutes. That is enough time to reverse the respiratory depression that would have otherwise led to an overdose fatality. Therefore, after Naloxone is administered, the patient is usually sent to the hospital so they can be cared for before the effects begin wearing off. Does Naloxone work for all types of overdoses? No, Naloxone works only for opioid overdoses.Naloxone only reverses the effects of opioids like heroin, morphine, codeine or hydrocodone. It does not work for other overdoses related to alcohol, stimulants, benzos or other sedatives. Still, it does not hurt to administer Naloxone regardless of how you think that person overdosed. Many overdoses happen because the person was mixing opioids with other drugs. In the worse case, naloxone will not work, however in the best case; it could save their life. Side effects from naloxone are very rare. The most common effect of being administered naloxone is opioid withdrawal. The person administered the naloxone may experience opioid withdrawal since the drug rapidly reversed the opioid receptors in the brain. Common opioid withdrawal symptoms include aches, irritability, sweating, runny nose, diarrhea, nausea, and vomiting. Still, the longer a person is overdosing, the more problems that can occur. A person can have long-term heart problems, brain damage and eventually death. Naloxone can help slow down the effects of an overdose because it helps restore the person back to life. Can you overdose on Naloxone? No, you can not overdose on Naloxone. If a large dose of Naloxone is given, the person may experience withdrawal symptoms, but they can not get high from naloxone. If a person has been administered Naloxone in the past and has another overdose, can Naloxone be used again? Yes, a person can be administered Naloxone even if they have been in the past. The effects of naloxone do not weaken over time. You can not develop a tolerance to Naloxone. What’s the difference between Naloxone and Naltrexone? The two are similar, but not the same. Naltrexone lasts much longer than Naloxone, up to 24 hours, and is commonly used in drug addiction treatment. What’s the deal with Naloxone and Suboxone? 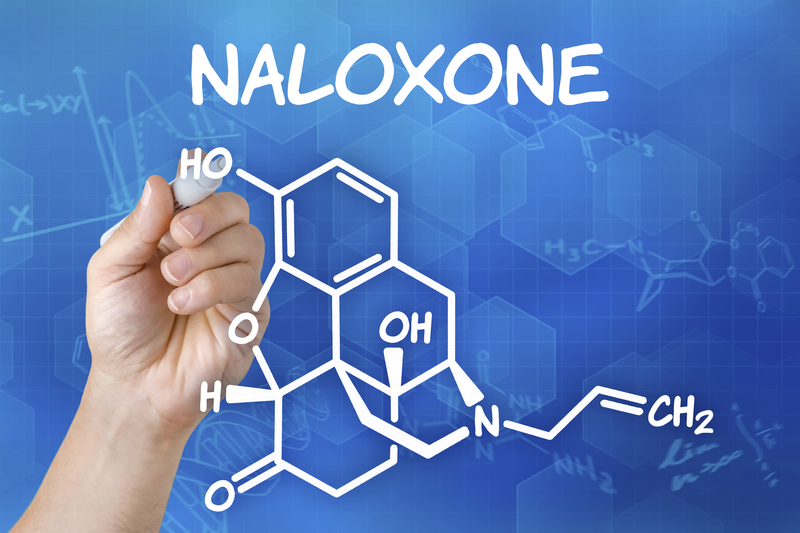 Naloxone is used in combination with buprenorphine in drug dependence treatment. The two together form the medication commonly known as Suboxone. Naloxone is added to discourage injection of buprenorphine. The drug is used in many cases to aid in managing opioid dependence. Though controversial, harm reduction treatments like methadone and suboxone are effective in saving lives. Will expired Naloxone work just as well? No, expired Naloxone loses its effect and does not work as well. Expired Naloxone will not hurt the victim, however there is a greater chance it will not work. To make sure Naloxone lasts as long as possible, store it in a cool, dry place. What ways can Naloxone be administered? Throughout the world, Naloxone is most commonly administered through a needle. Now, with the drug Narcan, it can be administered nasally. Do not have an overdose victim swallow Naloxone. It will likely not work, and worse, could seep into their lungs. Furthermore, if you are not using Narcan, Naloxone should not be poured into the nose. What questions do you have about Naloxone? More importantly, if you or anyone you know is struggling with substance abuse, get help before it is too late. An overdose does not have to be your wake up call. You can seek help for your addiction now. Call toll-free now.